Company adidas is relatively new on outdoor industry block, but they are masters in craft of shoe making. They are owner of Five Ten (climbing shoe company). From 5.10 they take Stealth sticky rubber. The result? Fit and comfort adidas running shoes and grip performace on Stealth rubber. Weight of pair of shoes is 405 gram (39 Eur). In 2013 I had tested adidas Terrex Solo (test only in polish). Now I must say, that Scope are more massive shoes, which are pretended to approach on mountains or to hiking. 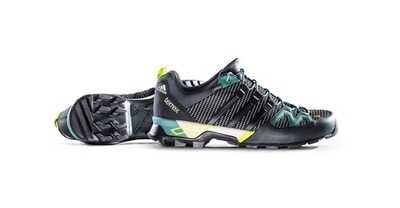 They are more confortable on long walks, than adidas Terrex Solo which were a light, stiff technical approach shoe. But also you can do easy climbs with them. The Terrex Scope GTX has Adiprene cushioning in the heel. Comfortable for walking/running, but stiff enough to approach on big boulders. Foamy curved tonque stays on place. Laces tighten down to the toes for a snug fit. Scope has rubber rand (toe and narrow toe). On the heel you have strap, then you can easy clim them to a harness on climbing. Gore-Tex liner should keep your feet dry too. First I walk on them on city. But they wipe my heel. Not so hard, that I place thicker sock, and was better. After some weeks of use problem of wipe disappear. They are excellent on approach. Rigid sole was great in hard terrain. Rigid toe is comfortable to do step in snow. 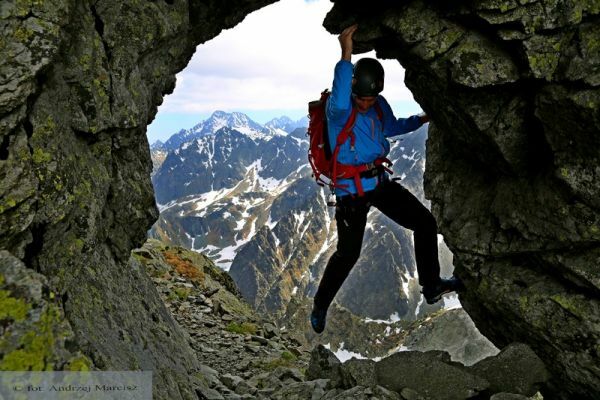 I use them in Tatra Mountains, on Jura and in Dolomites. On approach and descent. On rock, wet grass, messy terrain of forest. Also on approach on climbing terrain (I-II UIAA). After few months rubber on sole in some places are erased, but not so hard. After some weekend trip, laces were abrade in one place. The real test for Terrex Scope was in Tatra. Climbing on the ridge is big challenge for shoes. Scope meet the expectations. Sole on granite is famously Even on wet rock they were good. I climb VI+ UIAA on them (hand crack). 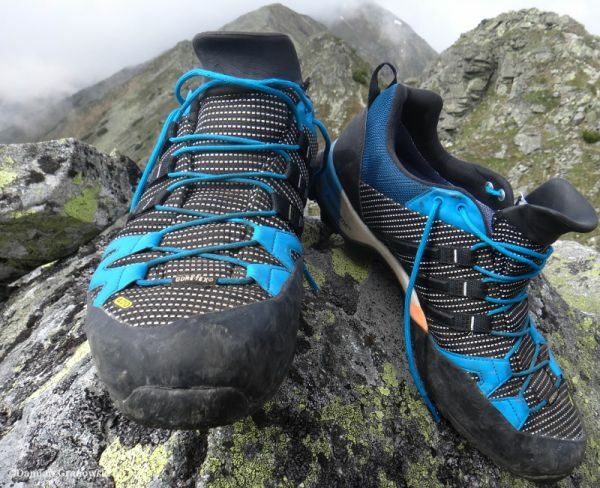 In general they are good shoes for easy climbing (to IV-V Grade UIAA). 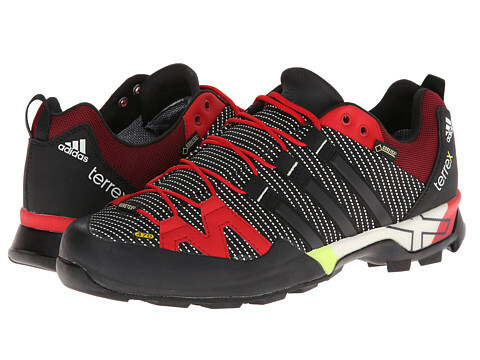 adidas Terrex Scope are very nice shoes for approach and descent. They promise to work on rock, messy terrain and others. They are comfortable on long walks with solid performace and good in climbing. A versatile, lightweight approach shoe. Molded EVA tongue for next-to-skin comfort. Molded foam sockliner supplies light underfoot comfort. adiPRENE® insert absorbs shock for enhanced comfort. 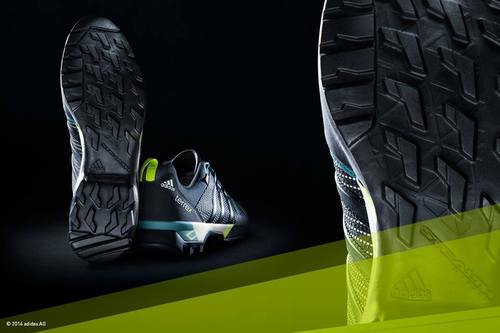 Approach-specific outsole features Stealth® rubber to deliver optimal grip and friction.